With multiple laser diodes to rely on, the screen won’t go black even if one diode goes out. 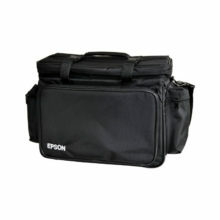 This eliminates the worry of the projector light burning out while displaying your advertisements. Engineered with inorganic LCD panels and an inorganic phosphor wheel, this newly designed laser light source delivers 20,000 hours* of maintenance free use. 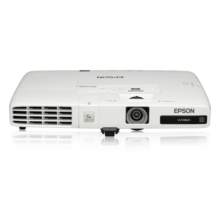 In addition, with the advanced electrostatic filter having an equally long-lasting life, you enjoy peace of mind in using these highly reliable laser projectors. *Approximate time until brightness decreases 50% from first usage. Measured by acceleration test assuming use of 0.04 – 0.20 mg/m3 of particulate matter. Time varies depending on usage conditions and environments. White light is created through combining the blue and yellow light beams. The advanced optical engine in the EB-700U series precisely adjusts the blue and yellow light to create brilliant white highlights, bringing a refreshing vibrancy to your images. The EB-700U series provides precise brightness adjustment in increments of 1%. This combined with the Constant Brightness mode maintains brightness at a given value to match the venue or subject to deliver astonishing picture quality. The EB-700U can be rotated 360° in any direction — horizontally, vertically and rotationally — without any loss in image brightness. This makes it ideal for a wide range of applications, such as projecting onto ceilings and floors. Furthermore, the newly supported portrait projection allows for more installation flexibilities. Project contents on walls, ceilings and floors without needing to connect to a PC. Simply insert the USB stick that has your content into the projector and it is ready to be projected. 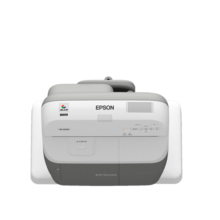 Whether it is images or MJPEG videos, the EB-700U makes it easy and convenient. With the ultra-short throw capability, it is now possible to project a large screen within the narrow space of retail windows. You can now create captivating window displays with the help of large projections to increase the visibility of store merchandise. Equipped with laser light technology, the EB-700U starts up within 5 seconds, ensuring smooth and timely displays. Fast and efficient, your advertisements are always ready for display at a moment’s notice. With WUXGA resolution (1,920 x 1,200 pixels), you enjoy a sharp, clear display of Full HD video (1,920 x 1,080 pixels) images down to the smallest details even on large-screen projections for an incredible and dynamic viewing experience. Unlike conventional display methods, projections from EB-700U are not subjected to glare from fluorescent lamps and sunlight from windows. The audience will not be distracted by such reflections and all information projected can always be clearly seen. 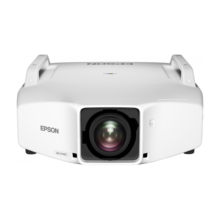 With Epson’s network monitoring and control software, you can see from a single PC which projectors are available and whether they are running efficiently – even across the biggest network. You can configure your projectors and access their serial numbers remotely, as well as receive instant email alerts for pre-defined critical indicators such as non-functioning devices or overheating laser diode. Now you can send messages or announcements as JPEG files simultaneously to any number of projectors on a network. 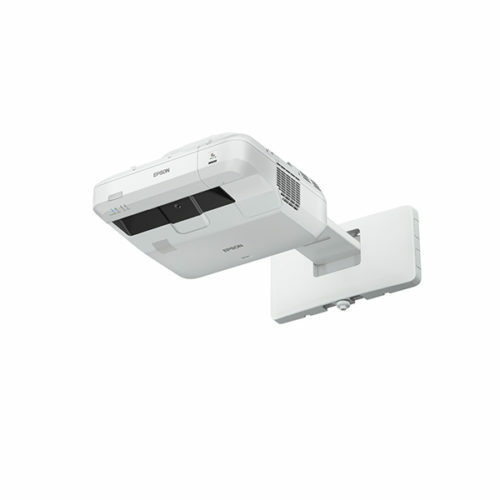 This makes the EB-700U projector series very useful for immediate communication needs or even emergencies. A revolutionary high-performance filter and an improved dustproof structure help prevent dust from entering the optical engine. Thanks to this clever dust-proof design, it enables higher brightness that can last longer compared to conventional models. The airflow is also optimized such that the unclean air does not blow directly into the optical engine. The EB-700U Series can run programs as scheduled with a built-in clock. You can set the times for turning projectors on and off daily as necessary.